John Bolton began his tenure as National Security Adviser on Monday, and his arrival comes as President Donald Trump and his administration are grappling with several international crises. Bolton is a war hawk who previously served under President George W. Bush as U.S. Ambassador to the United Nations. He replaces Lieutenant General H.R. McMaster in the role of National Security Adviser. Among the most pressing issues Trump and his cabinet must deal with is an alleged chemical weapons attack in Syria. The strike was reportedly launched in the town of Douma outside Damascus over the weekend by Bashar al-Assad and killed and injured dozens of civilians, including children. Bolton — who was a vocal supporter of the 2003 U.S. invasion of Iraq — did not need Senate confirmation to become the top national security official. Trump may meet with North Korean leader Kim Jong-Un over the next few weeks in the hopes of convincing Un to reduce his nation’s nuclear capabilities. Should this meeting occur, it would mark the first time an American president has met with the leader of North Korea. Finally, Trump’s administration has a May 12 deadline to decide whether or not to remain in the nuclear disarmament treaty with Iran. Bolton has claimed the Iran nuclear deal — a pact negotiated by Barack Obama’s administration — has been one of the main elements fueling the Syrian civil war. Bolton once said he believed conditions were prime for toppling Assad when the Syrian conflict first began a few years ago, and added he believed the U.S. should have capitalized on its strong military presence in Iraq to deal with Syria. 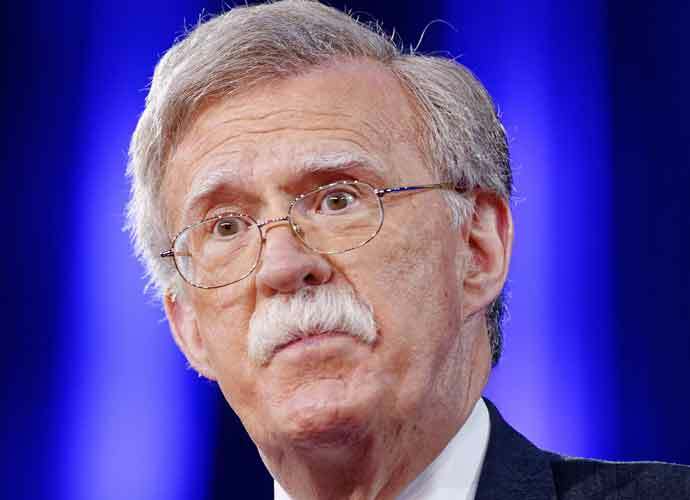 In his 2007 memoir Surrender is Not an Option, Bolton states that he has long doubted that countries like North Korea and Iran would ever easily relinquish their nuclear arsenals. In a recent interview on Fox News, Bolton was asked if he believed the United States and France were preparing to launch more airstrikes against Assad. Trump called Syria’s latest alleged chemical weapons attack a “barbaric act” and said on Monday that he would make a decision in the next 24 to 48 hours on whether to respond with a military strike like did after a similar assault in April 2017. Trump and several lawmakers — both Democrat and Republican — have previously denounced Russian leader Vladimir Putin for supporting Assad’s violent regime. Meanwhile, special counsel Robert Mueller continues to investigate whether Russia interfered in the 2016 election to help Trump get elected. Several top intelligence agencies have found this to be true, and McMaster slammed Russia in his farewell address. The former Army veteran said evidence is now “incontrovertible” that Russia meddled in the presidential election, something it is predicted to do in the midterm elections in November as well. Trump rapidly dispelled McMaster’s comments as wrong on Twitter, and claimed his 2016 opponent Hillary Clinton and the Democratic Party were the ones who colluded with Russia. Bolton is Trump’s third National Security Adviser, as former Army Lieutenant General Michael Flynn first served in the position. However, Flynn pled guilty to lying to the FBI about contacts he had with Russians during Trump’s presidential transition.